The cards promotion repeats again, until December 5th. 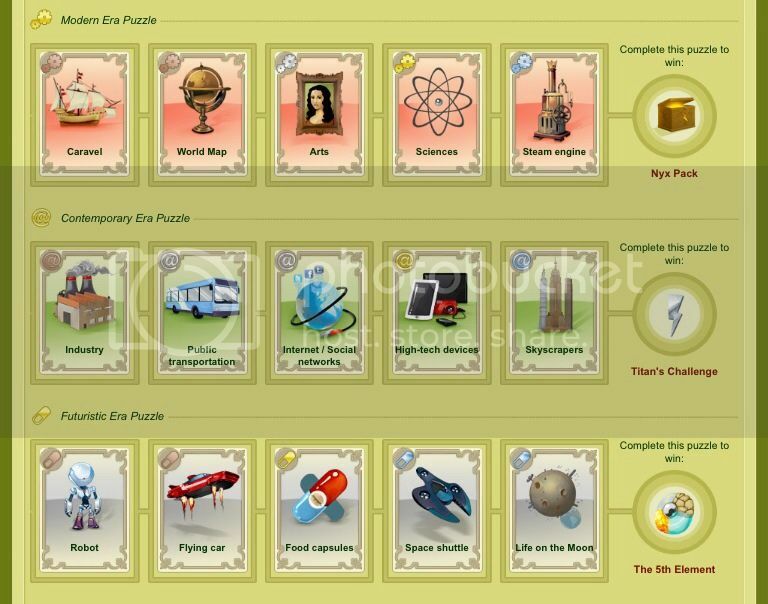 As usual, there are seven puzzles along with a collection of miscellaneous Black Market items. 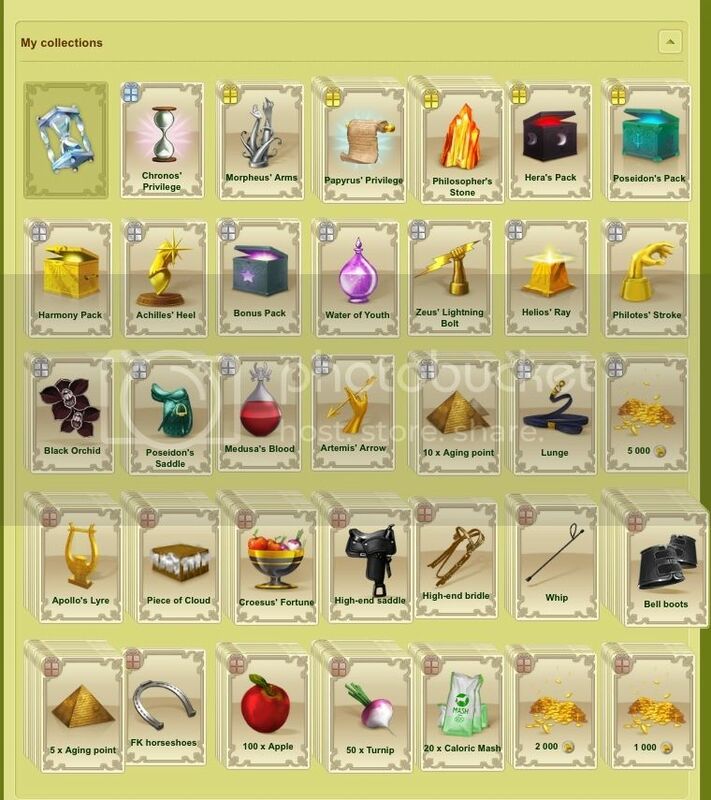 Each puzzle (consisting of a mixture of bronze, silver gold, and some diamond cards) rewards the player with a different BM prize upon completion. Once all seven puzzles are complete, the player will be given Thracius, a wind divine. 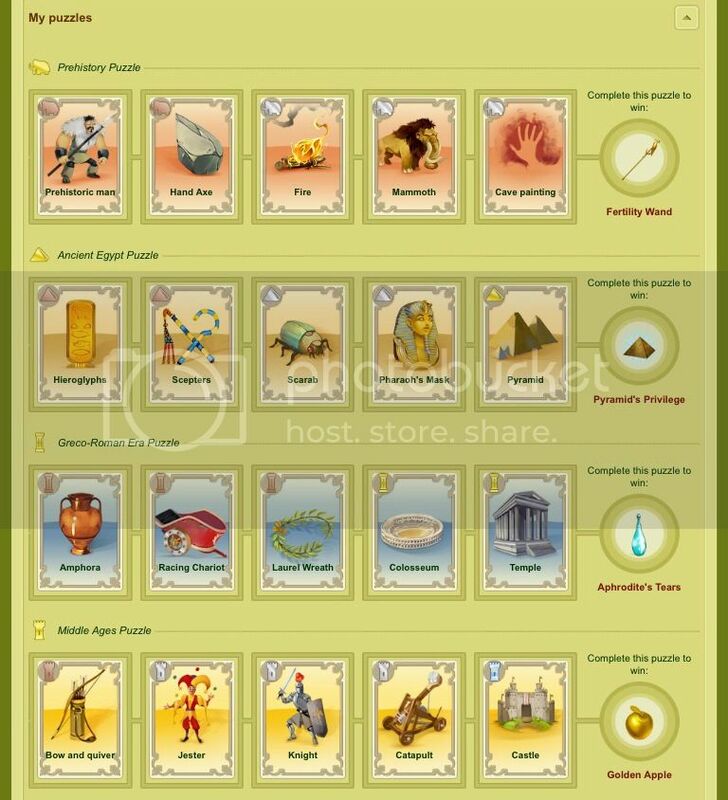 A new prize for the puzzles is Pyramid’s Privilege: receive five aging points for twenty days, given the player logged in the previous day. This promotion is pure luck! The only strategy is to not waste diamonds on lower-value cards. If anyone would like to see anything else added to this post let me know! This promotion is not as tricky as the others. Oh… Well it worked that time for some reason…. The one above is the first picture. maddied: there will never be a promo which doesn’t encourage buying passes. ;) This one is my favorite, as it doesn’t necessarily require anything, except logging in. And the prizes are good. :) Especially considering how little it takes. All I’ve done is watch the add video and make my horses win 2 comps a day in addition to logging in. I’ve gotten a load of stuff, also valuable items, such as Poseidon’s Pack and 3 x Morpheus Arms. To me the divines and wild horses are mostly just not worth all the money and trouble. But Owlient makes money by making players want those, at a “reasonable” cost. @thewarrenranch: I’ve had the same problem. Howrse might have done that on purpose as those videos are a means of profit for them. The more people that click on it, the higher their income.